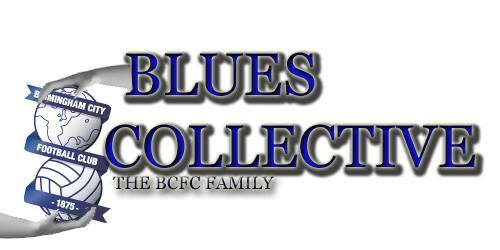 To Promote ALL that is good about Birmingham City Football Club, to help and support all groups ( official/unofficial) to advertise any events / meetings / charity fundraising they may be staging. To provide a focal point for effective dialogue between Birmingham City Football Club and its Supporters. To positively address issues raised by supporters. Any suggestions or issues will be advertised and discussed amongst members before being forwarded to the club for discussion. To communicate with supporters, on the outcome of those issues raised by supporters. To jointly seek ways to improve facilities for supporters and enhance the spectator experience. Where appropriate and agreed, to undertake joint activities and events, to promote Birmingham City Football Club and its Supporters. The objectives will be achieved through regular scheduled meetings, normally held at monthly intervals at Birmingham City Football Club. An agreed schedule of meetings will be circulated. Agenda items will be submitted by each party and a copy of the agenda circulated in advance of the meeting. Details of the business of meetings will be recorded in writing, actions agreed and allocated. Mutual respect will be accorded to all parties involved. All items will be discussed in the strictest confidence and without prejudice. Those matters for publication will be agreed prior to any circulation. Each Official Supporters' Clubs and Unofficial page/group will be represented by a person nominated by those organisations. The Club will be represented by the Club's Liaison Officer. The Liaison Officer will arrange for the attendance of the Chairman, Chief Executive, Manager, Safety Officer, Media Officer and other officials as appropriate, in relation to matters to be discussed. Effectiveness of the group will be reviewed on an annual basis. Any necessary amendments will be agreed amongst members and implemented.